With ‘Cars 2‘, ‘Brave‘, and ‘Monster’s University‘, the story lines and general excitement were muddled and less than stellar. It seemed like Pixar mostly phoned it in, trying to capitalize on toy sales or the laziness of a sequel rather than a good film with a decent story line developing characters. Now we’re in 2015 and we have a brand new original Pixar movie called ‘Inside Out‘ from the director of ‘Up‘, Pete Docter. In fact, Pete Docter adapted the story from his own life where his parents packed him and his siblings up and moved across the country to a new place, where he had to make new friends and learn new surroundings. It was rather tough for him, being young in a new school, having to deal with bullies and being “the new kid”. This translates into a young girl named Riley who has two loving parents (voiced by Diane Lane and Kyle MacLachlan) who moves their family from Minnesota to San Francisco for a job. Riley is a great kid, who is popular, always nice, loves her parents, and is quick to make you laugh and care about what you have to say. This is mostly due to the emotions that live within her. According to Pixar, every living thing, whether it be a human, dog, or cat, have little beings living in our brain that make us function and feel the range of emotions we go thru life with. Luckily for Riley, her main emotion is Joy (Amy Poehler) who is more or less in control of Riley most of the time, as she believes Riley should be happy every second of every day no matter what. There is also Sadness (Phyllis Smith from ‘The Office‘), Fear (Bill Hader), Anger (Lewis Black), and Disgust (Mindy Kaling), who all make up the range of emotions that Riley shows thru her young life now. These emotions living in her head operate the control board in her brain to make her function, creating good and bad memories for her. Unfortunately, something happens between Sadness and Joy, and they are thrown out of the “brain control” room, leaving Fear, Anger, and Disgust to operate Riley. As Joy and Sadness try to make their way back to the control room, they learn important life lessons in order to make a great living being. 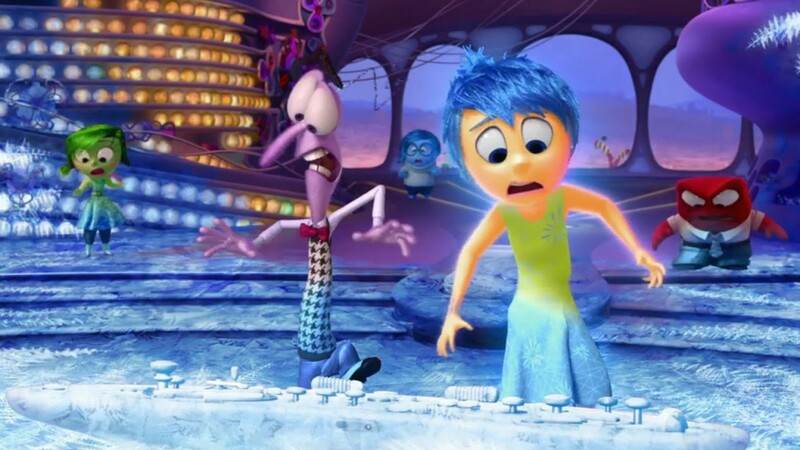 One of the things I love most about ‘Inside Out‘ is that it never dumbs down any plot line for a younger audience, which was something ‘Wall-E‘, ‘Up‘, and ‘Toy Story III‘ never did either. Each character has its moment to shine and never sways off course or goes into the land of silliness to attract a cheap laugh. Instead, these wonderful characters take us on an emotional journey of new change and how to deal with our feelings. 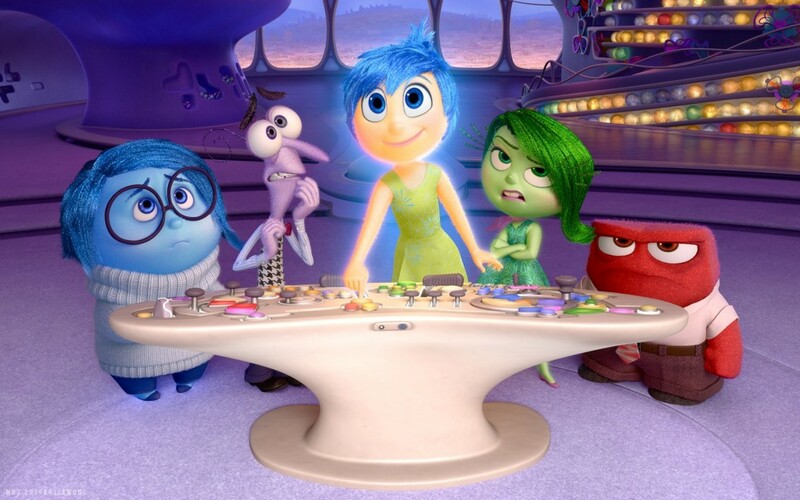 ‘Inside Out’ is a true delight to watch and I can’t wait to watch it again. The voice actors are all excellent with Poehler and Smith delivering some excellent performances here. Lewis Black and Bill Hader are down right hilarious the whole way through as Anger and Fear. 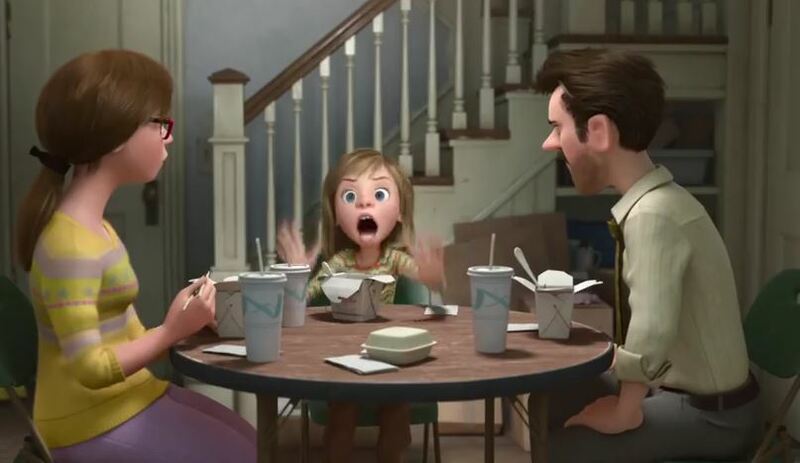 It’s safe to say that Pixar is back on top again with ‘Inside Out‘. P.S. – The short Pixar film before ‘Inside Out‘ is called ‘Lava‘ is FANTASTIC. This entry was posted on Thursday, June 18th, 2015 at 9:32 am	and is filed under Film, News. You can follow any responses to this entry through the RSS 2.0 feed. You can skip to the end and leave a response. Pinging is currently not allowed. « WWE: NXT 6/17/15 Recap!! All Hell Breaks Loose! !